Fees paid to SAVIT DO NOT include monthly click charges that will be billed directly to you by Google AdWords or Yahoo Search Marketing or Microsoft AdCenter or any other Pay Per Click Engine selected by Client. The charges specified in Table are based on per search engine and per website. Landing Page Consultation*: Suggestions/ advice on existing landing pages. If client wants SAVIT to create landing page(s) / banner ads, it will attract additional charges. Remarketing Banners - $129 for the entire set. Same banner in 5 to 6 different sizes. SAVIT will take the credits on the Campaign Landing Pages. Client will need to provide access to Adword Account, if not, then SAVIT will manage the campaign from its corporate account. Bi-Monthly reports will be shared by the Project Manager with the client. All payments are to be made 100% in advance. Service Tax @ 15% will be charged additionally (for Indian Payments only). Therefore, it is important for companies to have a professional and affordable pay per click campaign management service to manage their PPC account. By outsourcing your PPC Management to SAVIT a Google Certified Partner, You just need to relax and focus on your core business activities rather than optimizing the campaigns performance. We will optimize your campaign and work towards improving your CTR's, optimizing your cost per click, increase your conversion rates and generate new sales. SAVITÂ® PPC specializes in managing all aspects of clients PPC campaigns, from keyword selection to bid management, ad creation and ad testing. The ultimate goal is to increase the ROI and profitability of our clients. Below are some of the advantages of a PPC campaign when compared to Organic Search Engine Ranking. 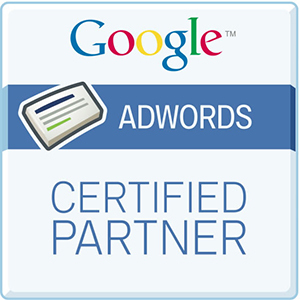 By hiring SAVIT, a Certified Google Adwords Partner to manage your account, you are helping yourself to achieve a better ROI.